It has finally been released to the public and only after having to wait a couple of months after the conclusion of the 2008 World Series of Poker Main Event poker tournament final table. Yes the same World Series of Poker final table which saw the record for the youngest player to win the WSOP Main Event broken by Peter Eastgate. Now the stage is set to try and yet again break the records that are meant to be broken during the 2009 World Series of Poker and now we know when the tournaments will actually start. 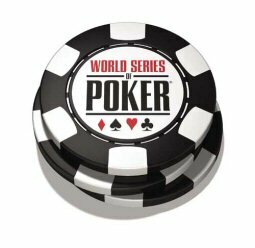 The 2009 World Series of Poker will start on May 27th with the Casino Employees $500 buy-in event and it will conclude with the worlds most popular tournament and that is the World Series of Poker Main Event which starts on July 3rd. Last year the biggest news to hit the poker wire was that World Series of Poker officials had decided to delay the Main Event final table three months. Well the officials have yet again come with some very big news to the poker world and that is since this is the World Series of Poker’s 40th year officials have decided to add a 4-day No-Limit Hold Em’ event which will require a $40,000 buy-in for players to compete. This monumental tournament is actually scheduled to be the first tournament that is open to the public which takes place on May 28th. Below is a complete list of tournament events for the 2009 World Series of Poker. Good luck to everyone that participates. Also the Main Event final table will once again be delayed until November. WSOP®, World Series of Poker®, and the WSOP Chip Logo® are trademarks of Harrah’s Interactive Entertainment, Inc.